Easy belgian liege waffle recipe. 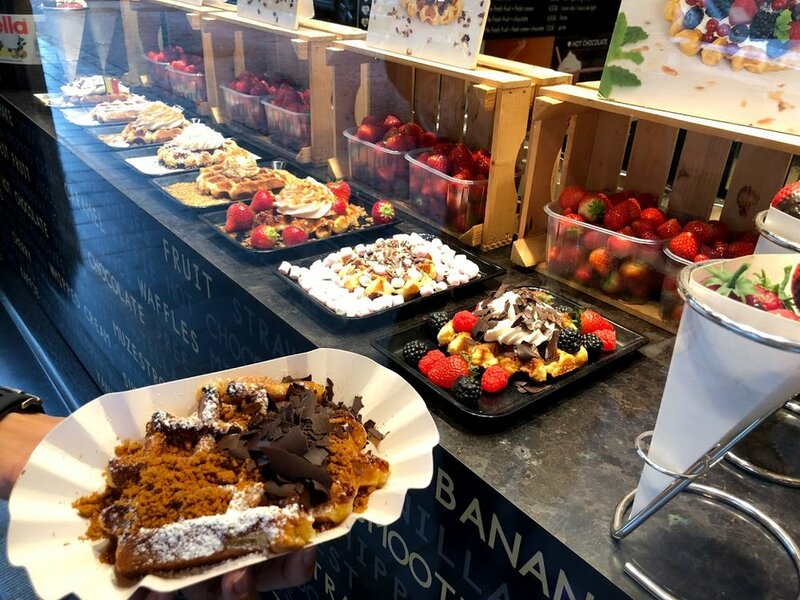 The best waffles from Belgium. Best waffles in the world. How to make belgian waffles. How to make liege waffles. Easy way to make liege waffles. Can I make Belgian waffles? Do it yourself Belgian Liege waffles. Make Belgian Liege waffles at home! No pearl sugar, no Belgian waffle iron, no blender necessary. by Claire Imaginarium: LONDON LIFE THE FRENCH WAY. TRAVEL, INTERIOR, BEAUTY & LIFESTYLE. Belgian waffles were one of my FAVORITE breakfast foods while growing up. I particularly liked them with strawberries and a healthy topping of whipped cream. An added scoop of vanilla ice cream didn’t hurt either. But even just plain with some butter and maple syrup was a winner. Needless to say, I was looking forward to trying Belgian waffles IN Belgium! But did you know there are two different types of waffles in Belgium? And neither one is quite like the type served in the US. 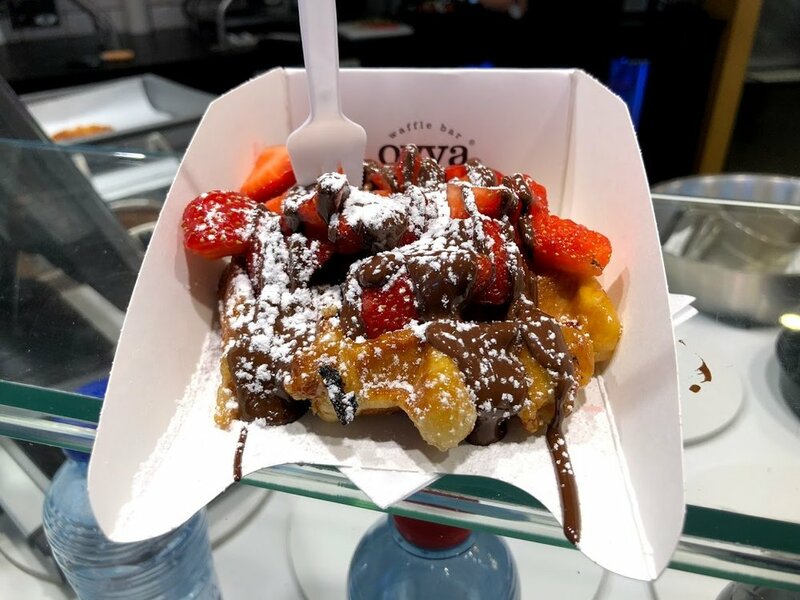 The Brussels waffle is closest to what is served as a Belgian waffle in the US. It’s rectangular with defined edges and is light and crispy. You can get toppings or just have it with some powdered sugar. Liege waffles are the other type of waffle you can find in Belgium. They are made with a bread-like dough so they are much more dense. Pearl sugar is in the batter and caramelizes when cooked in the waffle iron. They are served with toppings in tourist areas and are delicious. However, the best ones we had were from a food stall at a weekend market that were served plain because they definitely didn’t need any toppings. The outside was grilled perfectly and the inside was soft and chewy – the whole thing was melt in your mouth delicious and if we’re ever back in Brussels we’re going to get at least two each instead of one. Another famous Belgian snack is fries. Although they are called “French fries” in the states, they apparently only got that name because the fellow who introduced it to America spoke French. He was Belgian. The fries in Belgium are double fried. That means they can use thicker fries and fry them at a lower temperature first to cook them all the way through. Then they fry them a second time at a higher temperature just long enough to make the outside crispy. The fries are good by themselves, but you can also choose from a variety of fry sauces. The sauces usually cost a little extra, but you can also get a large bottle at the supermarket for a reasonable price if you have a favorite. With all the waffles and fries around, you might think you’d see some waffle fries. We spent about a week eating our way through Brugge and Brussels, but did not see any waffle fries. Have you ever been to Belgium? Which do you like better, Brussels or Liege waffles? What’s your favorite fry sauce? Let us know in the comments! Corned Beef and Cabbage - traditional or not? Where Da Nerbone is located. What food to try when you get to Da Nerbone. Traditional Tuscan sandwiches. Find out what the most traditional sandwich is! The Airbnb we stayed at in Florence boasted of a wonderful Japanese restaurant in the area and we both love Japanese food so we had to check it out. Paying more than you expect in Italy is common, but it doesn’t have to be. Learn how to save money on food in Marrakech, Morocco. 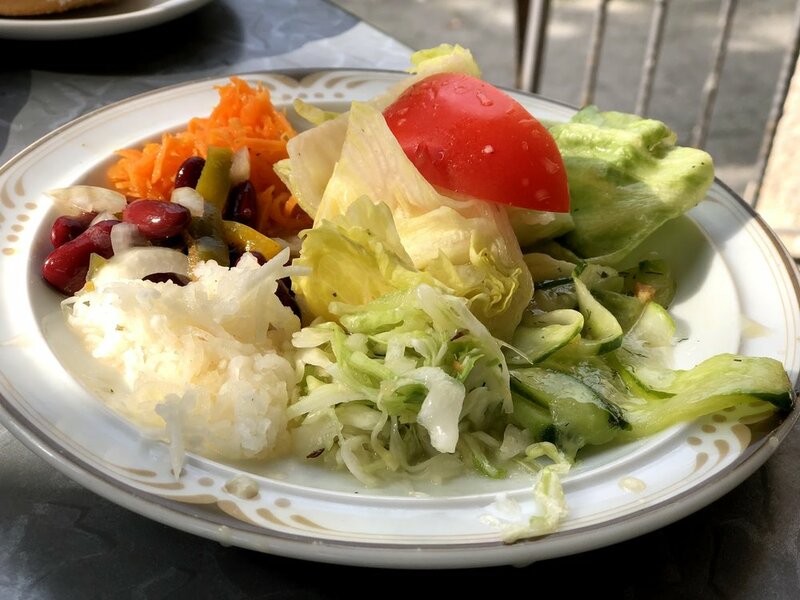 Eating in Marrakech can be done on a budget. Also learn what type of food to try in Marrakech. Rancho Canario is a traditional Canarian soup. It's slightly different in each restaurant, and varies slightly from family to family as well. Check out our reviews and favorite recipes! Local foods are somewhat a source of pride, especially in Japan. Nagoya is located in Central Japan and has arguably some of the best food in the country. "Be our guest, be our guest, put our service to the test!" Yes, the quote is from Beauty and the Beast, but if there's one Disney restaurant that can boast about excellent service, amazing food, and an overall mind-blowing gastronomic experience – Remy on Disney Cruise Line is the one. Check out our review!